The reality of working in a factory making clothes for Ivanka Trump’s label has been laid bare, with employees speaking of being paid so little they cannot live with their children, anti-union intimidation and women being offered a bonus if they don’t take time off while menstruating. The workers’ complaints come only a week after labour activists investigating possible abuses at a Chinese factory that makes Ivanka Trump shoes disappeared into police custody. He had followed news of the so-called Muslim ban on TV this year. “But we’re not in a position to make employment decisions based on our principles,” he said. When Alia was told the gist of Ivanka Trump’s new book on women in the workplace, she burst out laughing. Her idea of work-life balance, she said, would be if she could see her children more than once a month. For the majority of non-union Buma workers, their job is a run-of-the-mill hardship to be endured. About three-quarters of them are women, many are mothers and several, like Alia, devote almost all their income to children with whom they can’t afford to live. Sita, 23, is one such worker. She had to drop out of college when her parents got sick, and started working at Buma last year. She told the Guardian that her contract will be terminated soon, after seven months of work. But for some the chance of a job and a pay packet – albeit a small one – is cause for some satisfaction. The workers spoken to appear to typify the average employee making Ivanka Trump clothes in Indonesia. 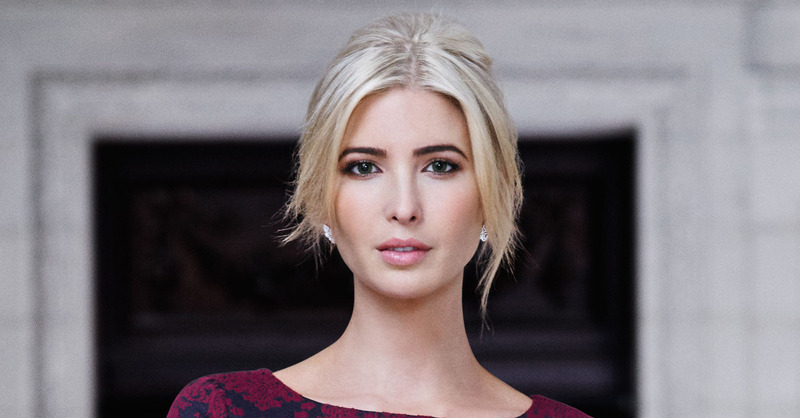 They are not egregiously abused but are in circumstances so far removed from the first daughter’s “women who work” brand that it was impossible for them to imagine a situation where anyone would wear the dresses they were sewing. Ivanka Trump stepped down from running her brand in January, although all products still bear her name on the label. Women who are permanent employees at the Buma factory do get certain concessions: three months’ paid maternity leave (usually split between six weeks of pregnancy and six weeks post-birth), mandatory federal health insurance and a monthly bonus of $10.50 if they don’t take a day off for menstruation. According to a photo of a timetable one worker showed the Guardian, the production targets, broken down for every half hour between 7am and 4pm, are between 58 and 92 garments per period, while the actual numbers produced are recorded as 27 to 40. “The management is getting smarter: they tap out our ID cards at 4pm so you can’t prove anything,” said Wildan, a 25-year-old male worker. Seven workers also said they were subject to verbal abuse, being called things like “animals, moron and monkey”. Otang said this, too, was fairly common. Beyond this, Buma also has a pattern of firing workers right before Ramadan and rehiring them a month later, to avoid paying a “religious holiday bonus”, according to several workers. Indonesian law dictates all workers are owed a holiday bonus according to their religion, which works out to at least a month’s wages or more depending on seniority. In May 2017, there were about 290 people fired before Ramadan, according to Toto Sunarto, a leader of the SPSI union in Subang. Indonesia has the largest gap among Asian countries between high and low wages for unskilled garment workers, according the International Labor Organisation. None of the workers the Guardian spoke with have ever received performance-based raises, only federally mandated ones – even though some of them have worked at the factory continuously for seven years. None of the not-already unionised workers who spoke to the Guardian expressed a desire to join one, citing fears of being fired and a general sense that their work wasn’t all that bad. Sita, for instance, said she “voluntarily” worked overtime almost every day because they never met their targets. “It’s not surprising to me that in a factory like this, you have rank and file workers who are unclear on what their rights are, and what the law says in terms of wages and rights,” said Jim Keady, an American labor rights activist who has worked extensively in Indonesia. “But with these poverty wages and I would call it that just because something is legal, doesn’t mean it is moral. In March, Indonesia was called out by President Donald Trump for having an unfavourable trade balance with the US. The president took issue with Indonesia’s $13bn surplus last year and vowed to penalise “cheating foreign importers”. The fortunes of Ivanka’s brand have fluctuated wildly in the past year. During her father’s campaign, net sales for her brand increased by almost $18m in the year ending 31 January 2017, according to G-III data. But in recent months, several department stores have pulled her brand and G-III discreetly relabelled some Ivanka Trump merchandise under a different house brand, Adrienne Vitadini. Meanwhile, the word “minus” was a common refrain among Buma workers, denoting ongoing debt. “We can never think about leaving debt,” said Alia. The cost of infant formula, school books, or a family visit can put these workers over the edge in any given month. Fadli, a young man who works in the warehouse part of the factory, sees all the brands’ price tags as they are prepared for shipment to the United States. The Guardian contacted PT Buma for comment on the claims made in this article. A spokeswoman said neither she, nor anyone else at Buma Jakarta, nor anyone else at Buma Subang, wanted to comment. The Guardian also approached the White House for comment. None was forthcoming at time of publication. The Ivanka Trump brand’s public relations company declined to offer any comment. Previous articleREMY MARTIN TO OFFER THE ULTIMATE ENTERTAINMENT EXPERIENCE AT THE CLUB WITH REMY MARTIN ALL-STAR, THE LIVE EXTRAVAGANZA EDITION, VEGAS STYLE EVENT IN LAGOS AND ABUJA .